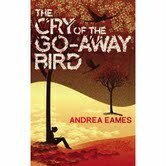 A few weeks ago, after a glowing recommendation from a friend, I read ‘The Cry of the Go Away Bird‘ by Andrea Eames. This atmospheric book is set in Zimbabwe during the late 1990’s, covering the increasingly volatile political and economic situation through the eyes of a young teenager – sorry, a young white teenager, Elise. Beautifully depicted, Eames lovingly recreates the Zimbabwe of her youth, and does not flinch from depicting the shadows beneath the light, the simmering hatreds and tensions that were bubbling under the surface. Elise and her mother move from a rural area to the city of Harare within the first chapters of the book, marking the end of Elise’s idyllic childhood, and some of her naivety. Their relocation to a farm on the outskirts of the capital city, forces Elise to become more aware of her surroundings – to grow up – and to amend her limited view of the world around her. From childish games, and obsessions with spirits and dreams; she wakes up to a world where increasingly you are judged, not on the content of your character, but on the colour of your skin (to reverse a Dr Martin Luther King Jr quote). As a reader who happened to spend her formative years in Zimbabwe, I was intensely curious about this book – especially as this book starts at just the point I was leaving the country. After linking up on Twitter, Andrea was kind enough to agree to have a chat with me about her recently released book, Zimbabwe, and everything in between. As our ‘q & a’ rapidly degenerated into an enthusiastic conversation, it became impossible to capture everything that Andrea was saying word for word, but I hope that the sense of her thoughts comes through! Andrea is no stranger to the written word. She has had various pieces published since her teen years, and has blogged for over four years (Andrea’s Blog). I asked her how she started. To be honest, I can’t really remember a time when I wasn’t writing. I love my blog – I think I’d go crazy without an outlet like this, a way to allow me to connect with people around the world, and share the things that are important to me. I’m very fortunate to be in this position where I can write and have it be so accessible. The relationships in the book feel very true to life – particularly the constantly changing one between Elise, Steve, and Elise’s mother. 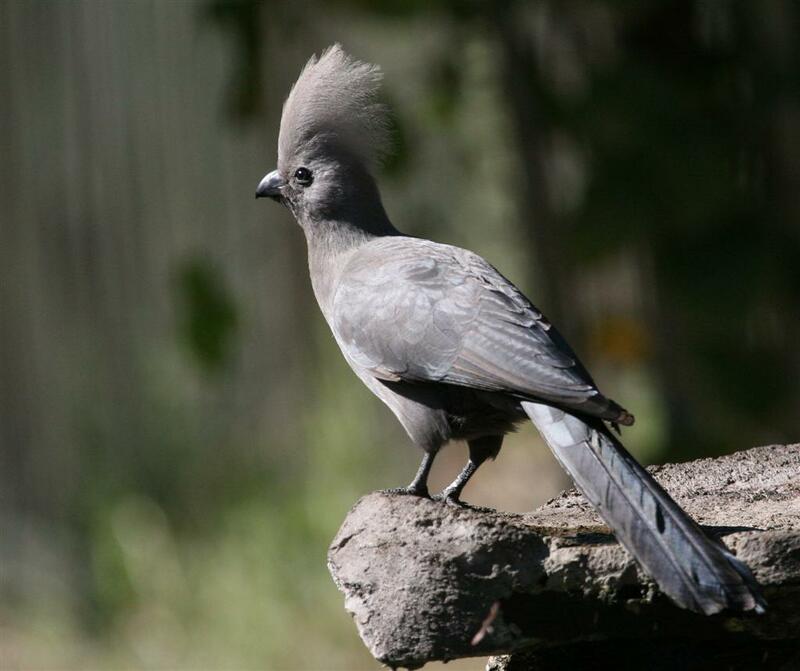 In fact, the parental pair rapidly became my favourite characters, despite often speaking and acting in the most selfish of ways. Oh I am glad. Steve was one of my favourites also. I think that he sometimes gets short shrift, but as a character he had the unfortunate task of being the perfect vehicle to say the stereotypical and – out of context/understanding of the way things were at the time – racist things that needed to be voiced by a white farmer at the time for the story to progress. But I thought that he was very warm, a very decent man, and one who really stepped up with regards to Elise. I felt that her mother experienced the most growth and evolution throughout the book. Presumably you borrowed from various Zimbabwean women, though I imagine that there are elements of your mother there too. Oh definitely, though this isn’t *my* story, there are certainly several incidents that came straight out of my own life. So all the characters in the book are ones that grew out of the people that I knew. I’d love to say that I consciously placed certain real life characteristics into the people that I wrote, but to be honest, it was trial and error…and fluke…that it worked out the way it did, that the people I created behaved the way they did. I really didn’t plan it that way. And with regards to the character of Elise’s mother, there seem to be certain inevitability’s in her life. Oh yeah. I think that there are parallels between her life and that of her parents, particularly when you think that at the time of the liberation war, Elise’s grandparents made the decision to return to England. So both Elise and her mother were growing up during a time of conflict, they had a ‘war time relationship’ with their parents. Elise’s mom is essentially reliving her parents lives. I was also aware, though again, this was subconscious, and not something that I actively decided to write, that it created a certain inevitability within the story – that people were almost fated to repeat the mistakes of the generation before them. I think that Elise’s mother developed a lot over the course of the story. It certainly felt that way to me. Looking back, there was a casual racism that was allowed to exist, allowed to feel comfortable and reasonable. A lot of people were of the opinion that the race issue was in the past, all over and done with. Mr Cooper represented to me the naivety of the established white community. It was so impossible to even think of all that happening again, and when politicians there started to blame ‘the good old bad guys’, people were blind to the implications. We all had such crazy comfortable lives that we totally failed to see the signs in front of us. So the blame game was allowed to simmer for a long time, until it provided camouflage, pushing under the carpet the fact that the white Zimbabweans had not been in charge of the country for some time. When the war vets began to appear it was very intimidating and as you said, felt like it came from nowhere. 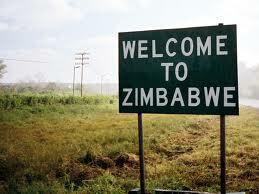 But for me, Zimbabwe was like a paradise. A doomed paradise. It’s a difficult book to describe really. I think of it having an anti-plot. The story *is* the country – the context – rather than one particular characters life. Oh you aren’t wrong. That’s actually been a consistent criticism of the book. There is no beginning, middle and end. All of the characters are controlled by events, rather than controlling them by their behaviours. I think in the book I describe it as individuals being sucked into a ‘whole’ – Elise went from being one person to being white, and nothing more. Their lives were disappearing into a wider picture. Structurally, there is almost a seasonal quality to the years passing. By the time I wrote about the riot scene in the school, I was trying to create an atmosphere that was closing in around them, a claustrophobia that was at once powerful and terrifying. It’s also one of the reasons that Elise was positioned as an outsider. Her moving from her childhood home and ‘second’ mother had left her out of balance in her world, resulting in her being more of an observer than an active participant, a lens to the time. Even before the troubles begin, she is in unfamiliar surroundings, a stranger. Moving away from the book itself for a moment, have you had any feedback from other Zimbabweans. No! It’s really bad. That’s not a useful answer at all! It hasn’t been released there yet – it’s going to be in April, and I’m really interested to hear from there, especially my Shona friends, and get their perspectives. The only Zimbabweans who have read it are friends, or family, or friends of friends or family! So they’re all connected to me in some way, so I don’t really have an external viewpoint. Earlier you noted that there are certain incidents that came straight out of your own life – I think that it’s fair to say that the passport swap was definitely one of those incidents. How autobiographical is this story. The passports thing was pretty much as it was. An incredibly hard experience, really just…horrid, it displaced me. I look at the world, and see the events like natural disasters that shape it, but for me, there was no one giant traumatic event that changed everything, but even so the place that I grew up in was destroyed. It’s really difficult to be coherent about it, I don’t have any insights to offer or solutions. But as an autobiography, honestly, it isn’t. This whole thing started off as a writing exercise, and it was my story. Once I realised that I wanted to write something more, it was completely re-worked. It’s more like my own life provided the bare bones that I used as a starting point. I used some of my own life, but I also drew on other people that I knew, or things that I had read about or heard about in the community. How do you feel about going back? It’s really…a strange thing to think about. I can’t imagine ever not going back, and I can’t imagine ever not wanting to go back, but a few years ago, it was so painful that the moment that I left Zimbabwe, I tried to put it all behind me. It’s almost as though I tried to forget, but the way it is, it’s like Zimbabwe is such a huge part of who I am, the person that I am. A person can’t just forget that. It’s a warm living part of me. I find it so hard to imagine going back and not seeing the people that were so important to me because they are elsewhere. It’s a really hard one. Just to go back to the book for a moment, I want to look at the character of Jonah for a moment. When he comes back, after Elise behaves despicably and causes his firing, for the funeral, I read that as an act of respect for a man who had been his friend. A friend of mine read it as an act of intimidation, demonstrating that he could be anywhere, even during a time of grief. Wow, that’s so interesting. It’s the thing about a book – you put it out into the world and people interpret it their own way. I think it’s a totally valid perspective – I can see how it would look that way. For me though, it was a respectful thing. Jonah was a very mysterious character. For one thing, he is only ever seen from Elise’s viewpoint, and her view of him is sinister and tinged with fear. She never understands him, so she never knows his motivations. This gave the reader a chance to view him without that veil. Which leads me beautifully to one of the things that really stood out for me. At one point Elise says that it will always be them versus us. Was that truly how you saw it? Is that how you regard it now? I don’t think I ever felt that, but it felt to me how *she* would see it. I mean, that thought is at the moment when she is being forced to leave her home. I think that it is what she thought at that moment, but I also think it’s likely to change down the line. Again, the writing of this was very instinctive, rather than analytical. I didn’t necessarily plan out how things would go. It was a more amorphous process. I tried to capture the emotions. Certainly there seems to be more hope for Zimbabwe now. I hope for Zimbabwe. You know, hope that the displaced may go home. Though I’d be lying if I didn’t admit to certain concerns about whether everyone would be able to go back. Finally, I felt that this book had possibly started out as a cathartic exercise, but by the end felt that it was actually a poem, or a love letter to Zimbabwe. Well I’m just delighted to hear that! It was very important to me while I was writing it that I avoid taking any sort of stand. I didn’t want this to be a revenge story, or a pity me one, or even a cathartic one. It’s my acknowledgement of how much I love Zimbabwe. After being away for so long, this was my chance to immerse myself in Zimbabwe again – the sights and scents and sounds. I tried to reflect it honestly, because it’s very important to me not to gloss over the difficult things. It’s my history, my culture, I wanted to capture it, as it was. The Cry of the Go Away Bird by Andrea Eames is available now from Harvill Secker, an imprint of Random House. ‹ Previous50 Books A Year?